You’ve decided to work with a CV-writing service, but how do you know which is best? Following proper formatting, choosing strategic language and having an eye for even the smallest of details ‒ writing a CV isn’t easy. Still, an impactful CV is essential to finding success in your job search. That’s why there are services out there where professional writers take your CV and craft it into a document that will take you further. 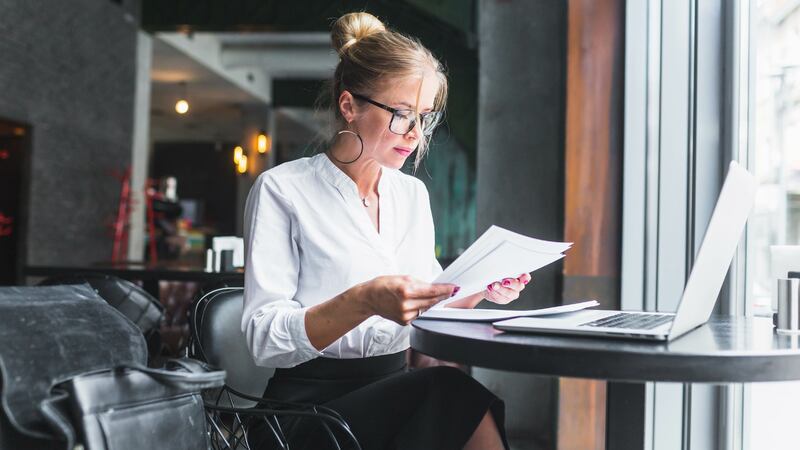 Making the choice to work with a CV-writing company is an investment in your career ‒ one that will help show your industry your true value as a professional. However, there are lots of services out there to choose from, so how do you know which ones will get you the best results? After all, when you put your money towards something, you want to know that the investment will be worthwhile. Asking these questions will help you identify which services to pass on and which will help you land your dream job. Online reviews, video testimonials, customer success stories ‒ these can all offer an idea of the kind of work the company puts out. Do some sleuthing into the company’s history as well. Have they established themselves in the industry, or are they just starting out? Reviewing information on the ‘About Us’ or ‘Company History’ sections of their site will give some insight into their level of expertise in the field. You want to make sure the people you are entrusting with your CV know what they’re doing. Depending on the service, a professionally written CV can cost upwards of £500. While that price tag may suggest a higher-quality product, it isn’t feasible for everyone ‒ nor is it indicative of quality. Take a look at your finances to see what you are able to spend. While there may be variations in quality and assets, this investment in your career still needs to be affordable. TopCV offers services at many different price points, so you can choose the one that’s best for you. Of course, you want your investment to give you the most value per pounds spent. This value can take many forms. For example, will you have a chance to edit a draft with your writer before finalising your CV? Maybe your purchase can include other services, like an expertly written cover letter or LinkedIn makeover. All-inclusive packages like these equip you with a powerful, comprehensive arsenal as you take on the challenges of the job search. Click here to learn more about the packages TopCV has to offer. Start with a free, objective CV review. Will my writer understand my field? In order to craft a successful CV, a writer needs to be familiar with your industry. Since it isn’t always possible to find a professional CV writer who has worked in your field first-hand, search for writers who have experience writing CVs for others in your industry. A good CV-writing service will match you with the writer who is most well-versed in your profession. Can my writer help me beat the ATS? To expedite the job-application process, most companies now use applicant tracking systems ‒ software designed to scan CVs and eliminate those it deems least qualified. Your key to passing through this automated gatekeeper is peppering your CV with the keywords, skills and industry-specific jargon it is searching for. To ensure that your investment in a CV-writing service is worthwhile, your writer needs to understand how applicant tracking systems work and how to beat them. Only then will you get your CV in front of hiring managers’ eyes and ready to shine. There are many variables in the hiring process that are out of a writer’s control after finishing your CV. As a result, it’s not possible for a CV-writing service to guarantee someone a job offer. Still, there are ways they can assure you that you will get a return on your investment. Some services, like TopCV, will rewrite your CV for free if you don’t receive twice as many interviews within 60 days of receiving your final copy. Guarantees like these are key when you are choosing a CV-writing service because they can give you the confidence that your CV will give you positive results. Every person works differently. Likewise, every service has its own approach to the CV-writing process. Find the one that works best for you. TopCV, for example, allows you to submit all of your information online and collaborate with your writer via email, making it a great option for someone who doesn’t have a lot of free time on their hands. For someone who prefers phone calls over electronic communication, an online service probably isn’t for you. Working with a CV-writing service isn’t just a way for you to get a quality CV ‒ it’s an investment in your career. When you take this step, consider the questions above to ensure that the service you choose will provide you with the best possible product and, ultimately, the best possible outcome of your job search. Ready to take the next step in your career? Learn more about TopCV’s professional CV-writing services.